Brisbane 11 September 2013. Queensland’s world-leading safety and health regime for mine workers will be made even more effective through proposed reforms to the state’s mining safety and health laws. Natural Resources and Mines Minister Andrew Cripps today released for industry consultation the Queensland Mine Safety Framework Regulatory Impact Statement (RIS) which outlines options to amend Queensland’s mine safety and health legislation. “Ensuring Queensland mine workers return home safely after each shift is of paramount importance to the Newman Government and to my Department,” Mr Cripps said. “Queensland is recognised internationally for its excellent mine safety record, however no system is perfect, and I believe these proposals will ensure our mine sites are even safer for employees. “The State Government, Unions and resources companies have worked cooperatively for many years to improve mine safety and these reforms are another step in that ongoing process. · standardising the management of fatigue, drugs, alcohol and fitness for work across both the quarry and coal sector. Mr Cripps said he was pleased these proposals addressed the safety of increasing numbers of contract workers in Queensland mines. 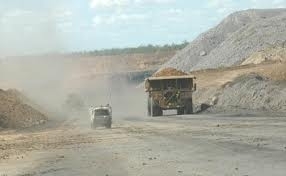 The Department of Natural Resources and Mines will host a series of forums in Queensland mining communities beginning on 16 September 2013 to discuss the proposed reforms with managers and employees of coal and metalliferous mining operations.